Chili-based condiments have a nuanced world of their own. Often shelved away in the bottoms of pantries and pushed to the ends of recipe books, there are more variations of these spicy delights than one could imagine. Harissa paste is one such delicacy. Like many of the spice blends I’m familiar with, this harissa recipe uses cumin and coriander, but it shines with flagrant uniqueness because of its citrusy tang, hint of caraway, and unbeatable chili flavor. 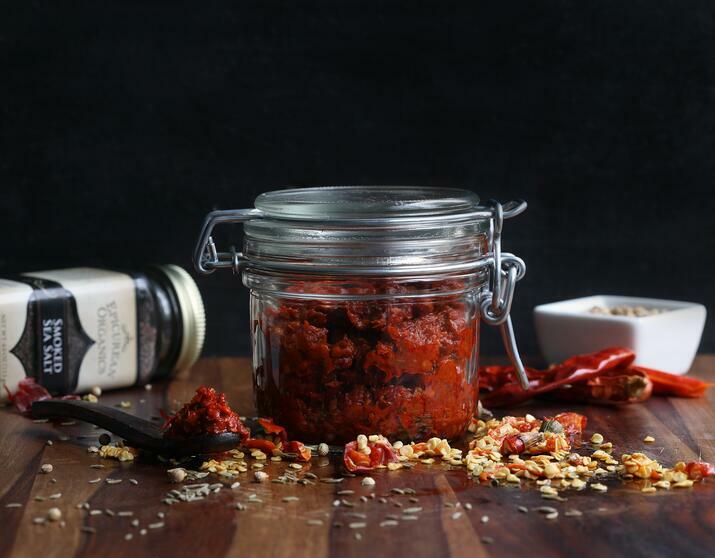 Harissa is a chili paste with origins in North Africa. It’s commonly used in Tunisian and Moroccan cuisines, but with growing international popularity, it’s become a go-to condiment for foodies and chefs alike. Words that have been used to describe this spicy condiment include "vivacious," "dynamic," and "legendary!" This recipe creates a stunningly vibrant, crimson-colored chili paste. It’s hot, too—perfect for those friends of yours who always need a little extra pepper or jalapeno with their food. Although I’ve had store-bought versions of harissa that use only chili powder or paprika in their spice mix, the process of rehydrating dried chilies is a magical (albeit a bit painstaking) culinary experience that can’t be missed! 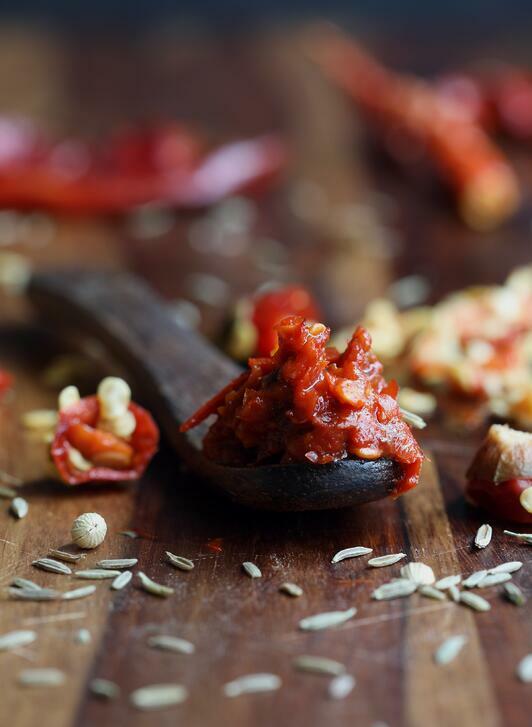 This recipe brought out a bold and full-flavored fire from our fair trade organic chilies. 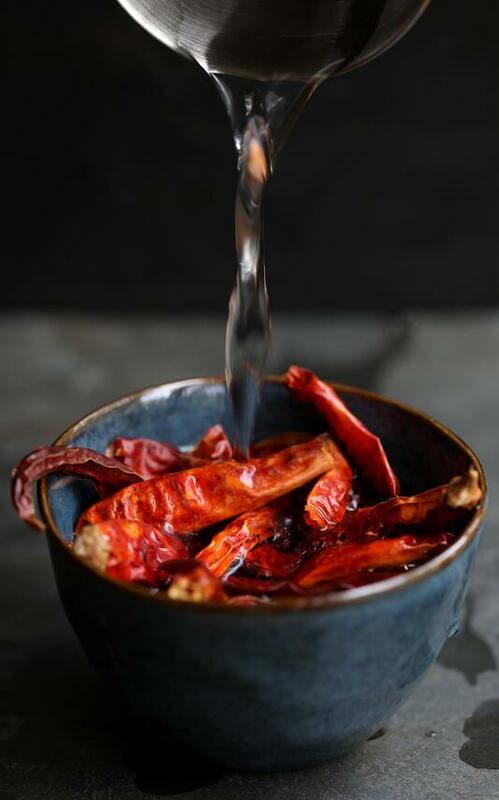 Soak whole chilies in hot water for a 30 minutes or longer to rehydrate. Lightly roast seeds in pan on medium heat until they begin to pop. Turn off heat and let pan cool. Add chopped garlic (or garlic powder), sunflower oil, salt, and paprika to same pan, and let simmer until garlic is fragrant. Once chilies are soft, discard water. 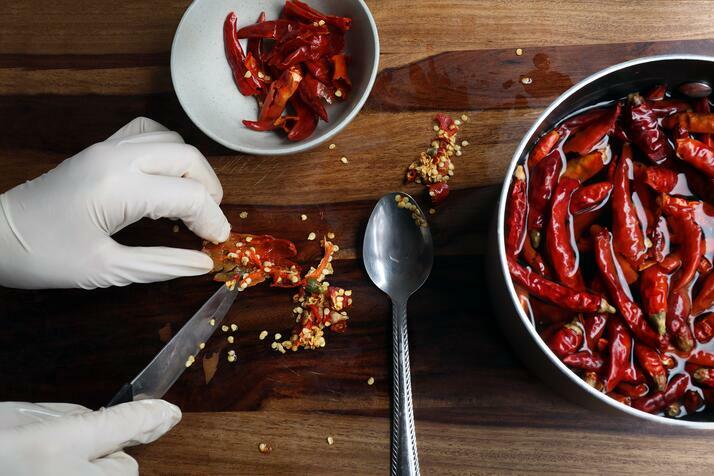 Using gloves and a knife, remove the stems (and seeds, if desired) from the chilies. Add chilies, toasted seeds from pan, and remaining ingredients to food processor. Pulse until chilies and oil form a bright red, smooth paste. The larger the dried chili, the easier it may be easier to remove their stems and seeds before soaking. For a milder chili paste, reduce or eliminate the whole chilies and increase the amounts of smoked paprika, seeds, and lemon juice. You can also double the oil for a milder taste and saucier consistency. If you prefer the taste of raw garlic and are using fresh garlic in your recipe, then omit step 4. Cooking the garlic with the oil, roasted seeds, and smoked paprika is my personal preference because the aroma from this process is spectacular! When you stem and seed the chilies, your skin will be exposed to the natural oil from these spicy botanicals. Regardless of how much time you’ll spend with your skin exposed, and even if you don’t feel any immediate burning sensation, I urge you to wear gloves to protect your skin! Working directly with any kind of chilies can cause burning (also known as “hot pepper hands”), even hours after you’ve finished working with the hot peppers. 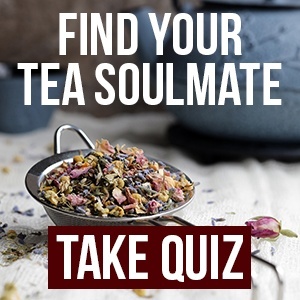 Looking For More Flavorful Spices? Ek Ongkar Khalsa was born and raised in Eugene, Oregon, but she’s no stranger to the ancient Indian wellness philosophy of Ayurveda. She’s had the pleasure of attending many health seminars by the world renowned Ayurvedic physician, Dr. Partap Chauhan from Jiva Ayurveda. While spending three weeks in India at a Jiva clinic, she attended classes on traditional herbal remedies, Ayurvedic lifestyle, and even got to enjoy traditional Ayurvedic treatments along with traditional Ayurvedic Indian cuisine. Ek Ongkar holds a Master’s Degree in Business Administration from San Diego State University. 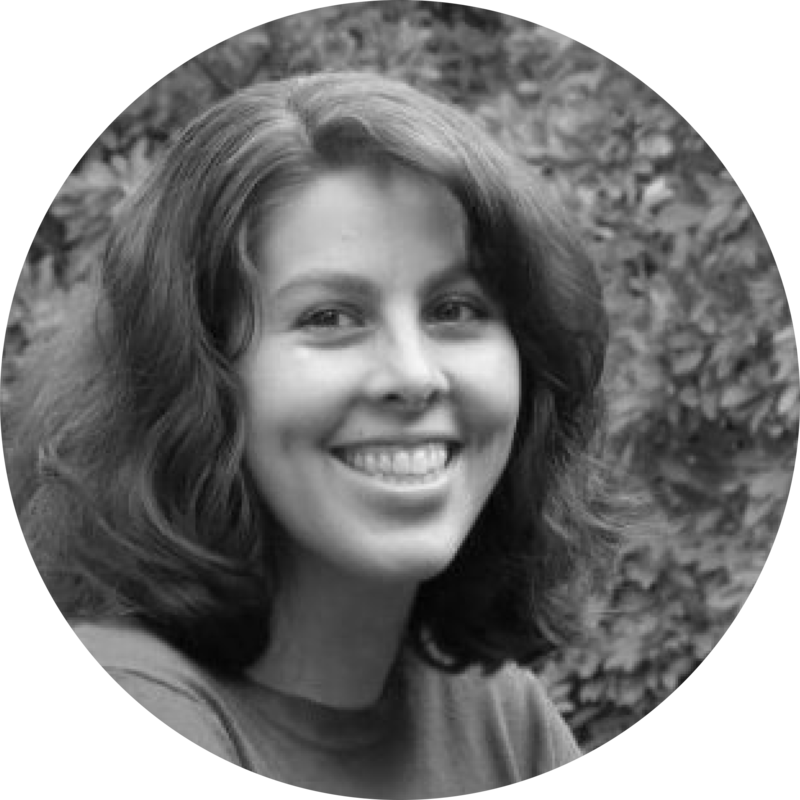 In addition to working as a Marketing Strategist at Mountain Rose Herbs, you can often find her sipping chai, taking long walks on local woodland trails, and doing origami.